Corns and calluses are frequent conditions that Cherrywood Foot Care‘s team of experts often treat. These hard, protective layers of compacted, dead skin cells caused by repeated friction from skin rubbing against the bony areas of feet or against an irregularity in a shoe, are not only unsightly but can also be painful. Corns ordinarily form on the toes; calluses on the soles of the feet. This friction and pressure causes a burning sensation and can lead to areas of the foot becoming overly sensitive and a constant sore spot. Corns and calluses may be relieved by moleskin or padding on the affected areas, though these are just some of the treatment options for these conditions. Cherrywood Foot Care advises that patients never cut corns or calluses with any instrument or never apply home remedies, except under a podiatrist’s instructions. 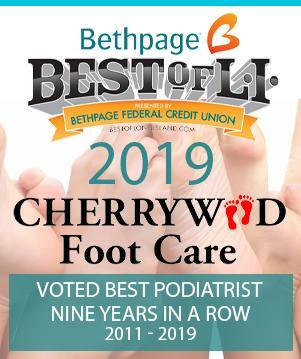 If you have corns or calluses, come see Cherrywood Foot Care, and say goodbye to uncomfortable feet.